We develop people. We have put 20 years of experience in the development of our eLearning courses. Improve your career from home. Sign up today and choose from over 60 internationally accredited courses. Gain access to the most popular topics in business improvement and business skills. Customise your company eLearning portal with courses tailored for your team. Manage users and reports with your own management dashboard. Are you an independent trainer, coach, mentor or facilitator ready to expand your business and offering? Do you want to be associated with an internationally accredited company developing a pro-active, problem solving leaders? 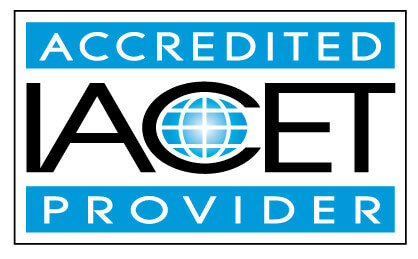 The Leadership Centre is accredited by the International Association for Continuing Education and Training (IACET). The Leadership Centre complies with the ANSI/IACET Standard, which is recognized internationally as a standard of excellence in instructional practices. As a result of this accreditation, The Leadership Centre is authorized to issue the IACET CEU. As an IACET Accredited Provider, The Leadership Centre offers CEUs for its programs that qualify under the ANSI/IACET Standard. Boost your career and become an expert problem solver with our Lean Six Sigma Green Belt programme. Learn how to apply skills in project management, process management, Lean, Change Management and statistical analysis. Boost your career and learn skills in stakeholder management, project management, process management, Lean and statistical analysis. Lead successful improvement projects and reduce costs in your organisation. We believe in partnering with our clients to create a sustainable and empowering business. With over 20 years of experience in Business Improvement, our team of experts have a proven track record of delivering results that exceed our client's expectations.